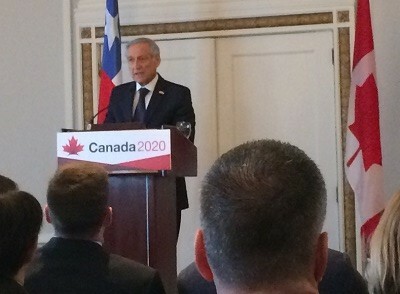 The following is an excerpt of a speech given by Chilean Foreign Minister Heraldo Muñoz, at a recent Canada 2020 event in Ottawa. Read the full text of the speech here, on Medium. 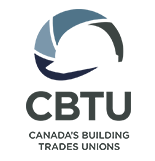 “The challenge for foreign policymakers is how to skillfully combine principles and national interests in the best way possible for addressing the complex challenges of this turbulent world. How should we deal with today´s economic, social and cultural global challenges so different from those of past decades, when no one had a PC or even dreamed of an iPad, but when the Soviet Union still existed? First, we have to deepen our openness to the world and add value to our exports. Second, we must contribute to global governance, particularly in the most sensitive issues for Chile. And third, continue to prioritize Latin America and the Caribbean, promoting convergence in diversity; in other words, a pragmatic regionalism. The ability to innovate and to create added value is fundamental for national economic growth. For Chile, the transition from an economic model based on the production and export of natural resources to one based on creativity and innovation is a must. Of course, we can also innovate by adding value to our natural resources. Chile is an open economy with a wide network of trade agreements: 25 free trade agreements (FTAs) with 64 countries, accounting for 94% of Chile’s exports. Our main challenge is to add value to our products as well as integrate ourselves to global and regional value chains. We are negotiating new free trade agreements with Indonesia, for example, while pursuing talks with the Philippines and continue working on the updating of our agreements, including the Canada-Chile FTA, in order to increase cooperation in key areas, such as innovation, science and technology, and education. The FTA Chile-Canada has proven to be a great success. Since its entry into force, bilateral trade has grown at annual average of 7%. Canada is one of the top ten trade partners of Chile, reaching in 2015 almost US$ 2 billion. In the last two years, our bilateral Agreement was modernized, incorporating chapters on Sanitary and Phytosanitary Measures and Technical Barriers to Trade, as well as several improvements to the Rules of Origin and to the Government Procurement chapters. We expect that the Canadian authorities will complete their domestic procedures soon, bringing these modifications into force. Let me add that Chile is Canada’s third largest investment destination in Latin America and the 8th worldwide; actually, Canada is Chile’s main investor in mining. China has become the main trading partner for Chile and other Latin American countries. We are advancing in the implementation of the Plan of Action signed during the bilateral visit of Prime Minister Li Keqiang last year. Moreover, we are negotiating with China an update of our bilateral trade agreement. Read the full text of Chilean Foreign Minister Heraldo Muñoz’s speech here, on Medium.